A lunar eclipse should be viewable Sunday night in Southwest Colorado. The weather is expected to be favorable for those interested in viewing the lunar eclipse this weekend in Southwest Colorado, with the National Weather Service calling for relatively clear skies Sunday night. And it’s not just any lunar eclipse. It’s a “super blood wolf moon” lunar eclipse. The moon will start to be eclipsed about 8:30 p.m. and will be fully eclipsed at 10:12 p.m. Depending on weather, people in North and South America will be able to watch it. Chris Cuoco, a meteorologist with the National Weather Service in Grand Junction, said people in Southwest Colorado will likely have a clear view. At worst, Cuoco said it could be partly cloudy, with high, thin clouds. “But you should still be able to see the moon throughout it all,” he said. So what exactly is a super blood wolf moon total lunar eclipse? According to NASA, the “super” part of the name is a result of the eclipse falling on the first supermoon of the year, when the moon is full and at its closest point in its orbit around the Earth, appearing larger than normal. The term “blood” is not a scientific term but is attached because the color of the moon will turn a hue of red as a result of the Earth lining up between the moon and the sun. And a total lunar eclipse is where a full moon passes through Earth’s shadow. Cuoco said it would be good to get away from city lights to view the event, but it’s not essential. 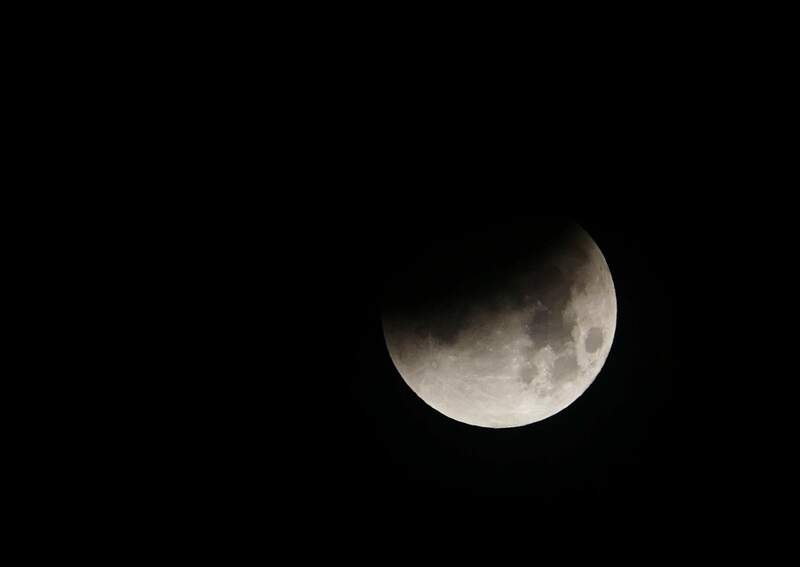 “Even through the city lights, you can see a lunar eclipse fairly well,” he said. Lows Sunday night are expected to be in the mid- to high 20s.